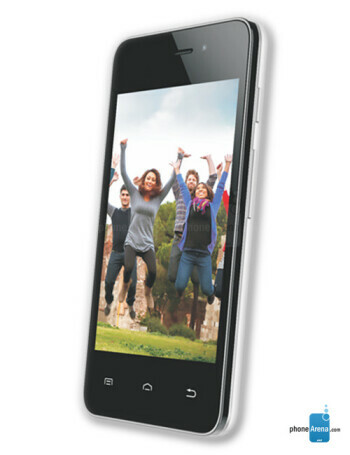 The Celkon A64 is a dual SIM Android phone with version 4.2.2 of the platform. Its humble specs include 4" display with the lowly resolution of 320 x 480 px, 2 MP rear and 0.3 MP front cameras. 1 GHz dual core CPU, 256 MB RAM, 512 MB of storage, and microSD slot.